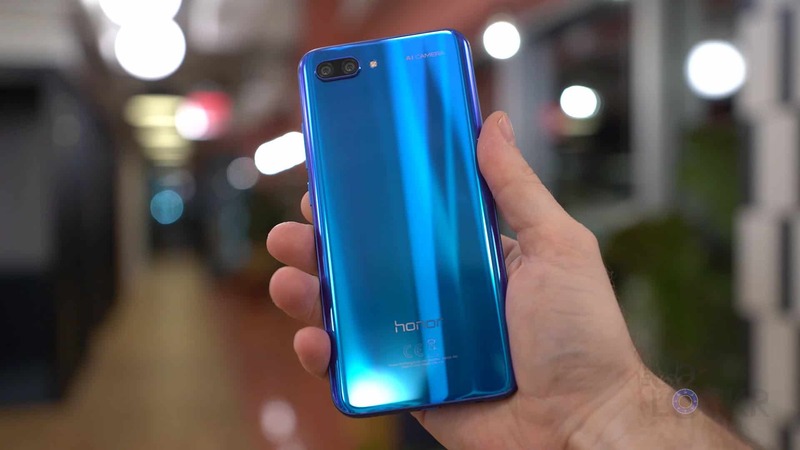 Honor’s latest flagship device, the Honor 10, was just released and it’s a pretty phone for sure. 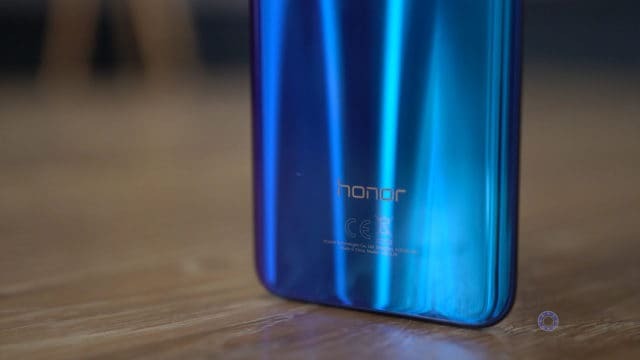 Honor was kind enough to send me one to test so I figured I’d try and do a complete walkthrough of it. 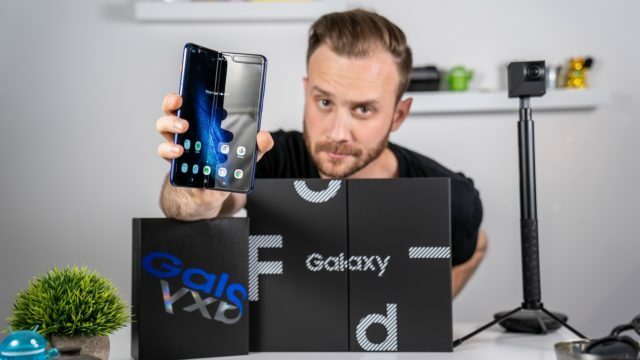 If you aren’t familiar, a complete walkthrough of mine is where I try and go through every feature I can on a device so you are better informed should be interested in going out to buy one. With that said, there is a lot to cover, so let’s get started. First up, the Honor 10 hardware. 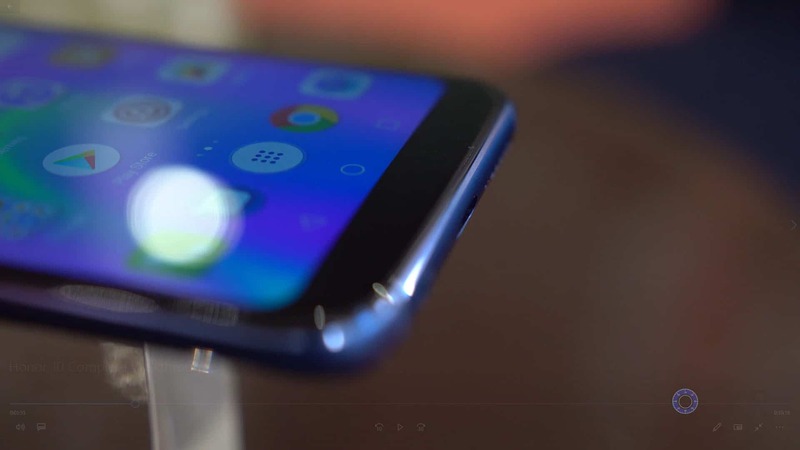 The device has a front and back glass design with an aluminum frame. 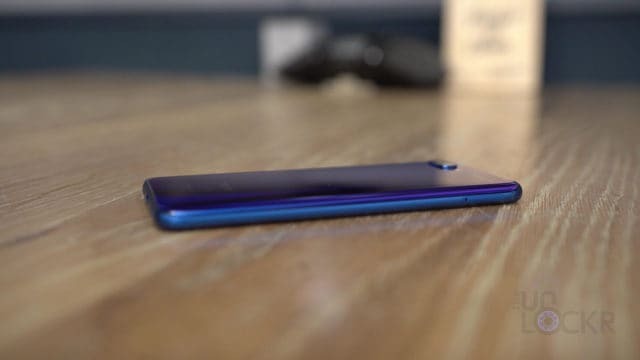 That back, much like the Huawei P20 it’s sort of based off of, comes in some fun gradient colors. 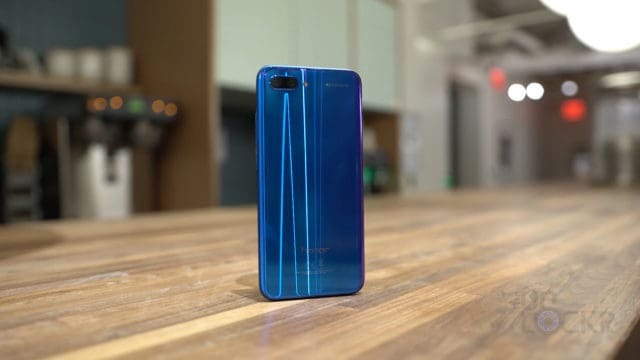 They call it Aurora Glass Design and this is the Phantom Blue model that ever more than the P20 and P20 Pro changes color in different lighting instead of just being a gradient from one to the other. It’s pretty awesome to see in real life, frankly. There is also a Phantom Green with a similar effect and a silver and black for those that don’t like it. On the front, we have a 5.84″ 2280×1080 pixel 19:9 aspect ratio IPS display. 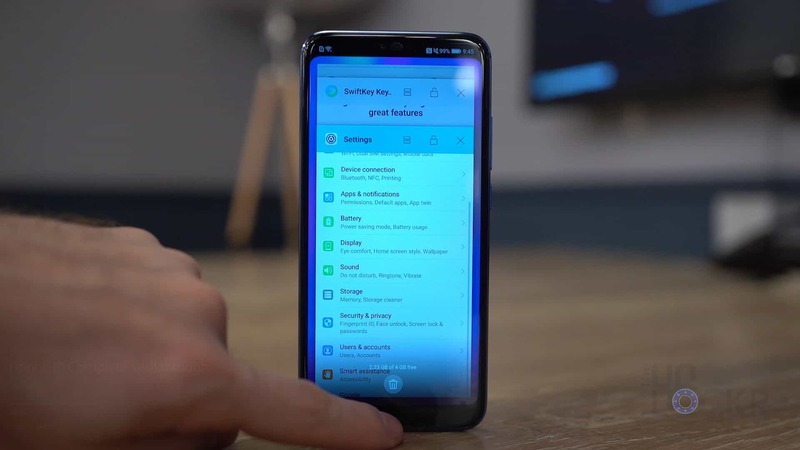 There is also a notch and because it’s running EMUI 8.1, there is also a setting in the Display section to hide it by making the top of the screen black if you want. 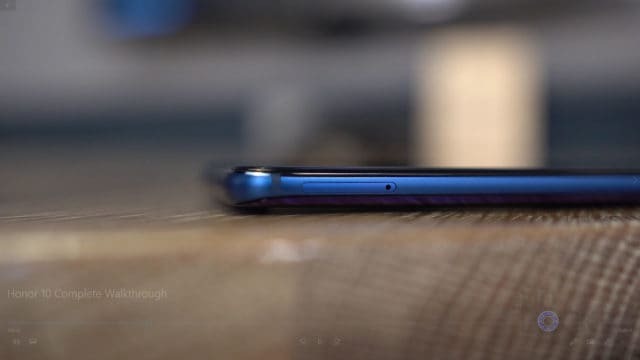 Under the screen, we have our fingerprint sensor that doubles as our home button that can also be used as an off-screen navigation using swiping gestures to go home, back, and get to multi-tasking. This can add some extra screen real estate by removing the normal Android navigation menu. 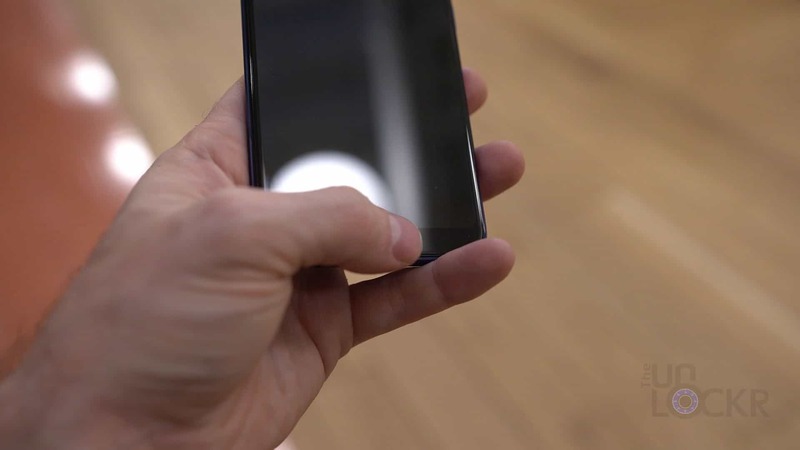 The interesting thing about this fingerprint sensor is that it is technically an ultrasonic, under-glass one. 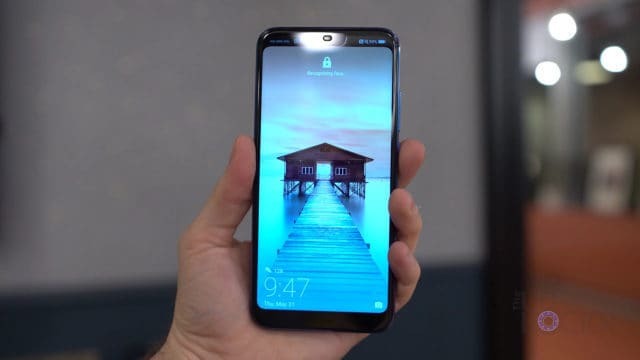 This would be cooler, of course, if it was just in the display so make less of a bezel, but there you go (also, it’s definitely not as fast as the Huawei fingerprint sensor because of this new tech). There is also a facial unlocking feature that works pretty quickly, though. Above the screen, we have our front facing camera that is a whopping 24MPs in resolution, has an f2.0 aperture and can shoot video in 1080P. 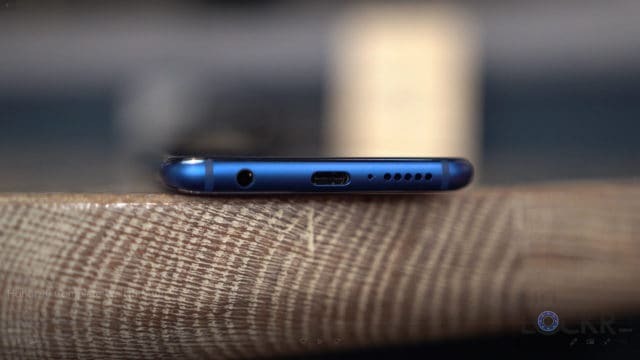 At the bottom, we have our 3.5mm headphone jack, our speaker, and USB Type-C charging port that is capable of quick charging. 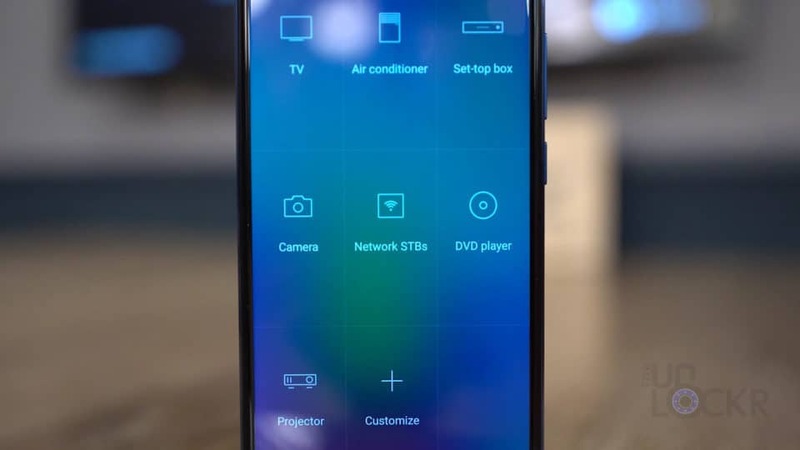 At the top, we have our IR blaster that can be used with their Smart Remote app to turn the Honor 10 into a universal remote that can control devices like TV’s, air conditioning units, cameras, projectors, etc. On the left, there is a dual SIM card slot with each supporting (there is no MicroSD card slot by the way). On the right, the power button, and volume rocker. 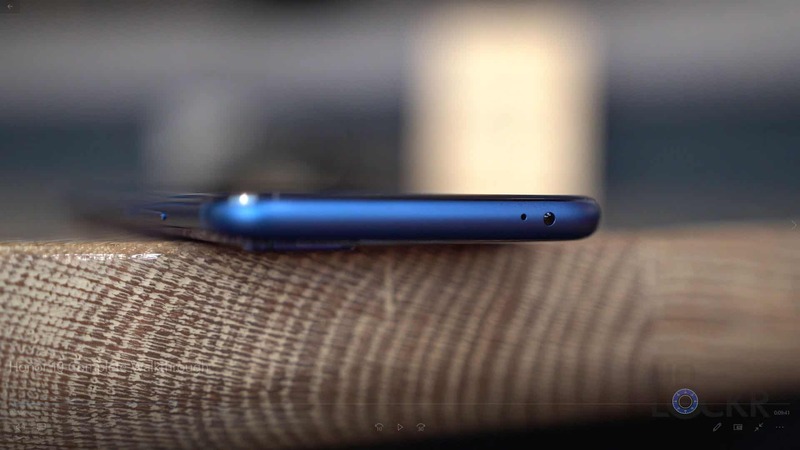 The device is 7.7mm thick and weighs just 5.4 ounces. It has no IP-rating that was mentioned so its safe to assume it’s not terribly water resistant. 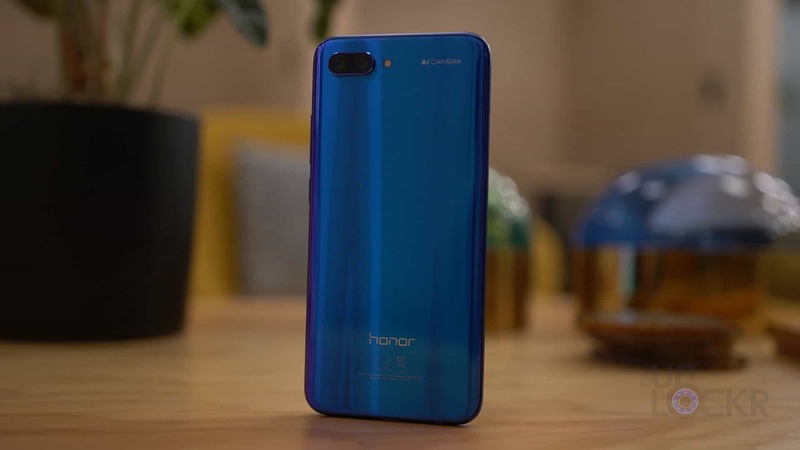 Powering the Honor 10 is the Kirin 970 chipset and comes with either 4GBs of RAM and 64GBs of storage or 6GBs of RAM and 128Gbs of storage. 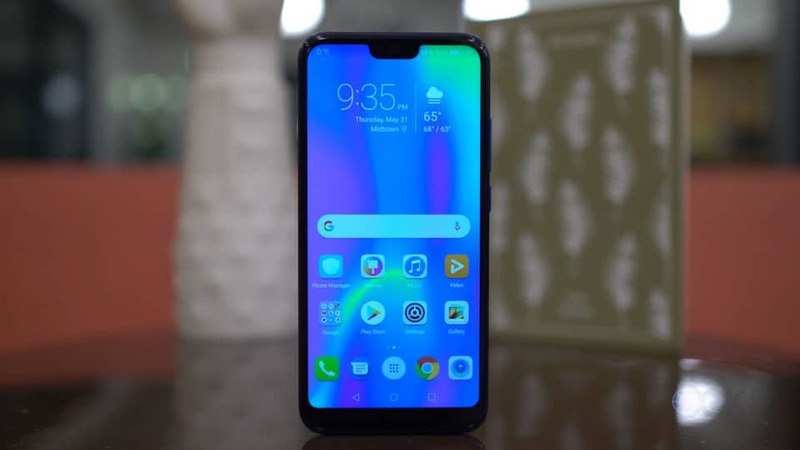 The Honor 10 is running Android 8.1 with EMUI 8.1 on top. 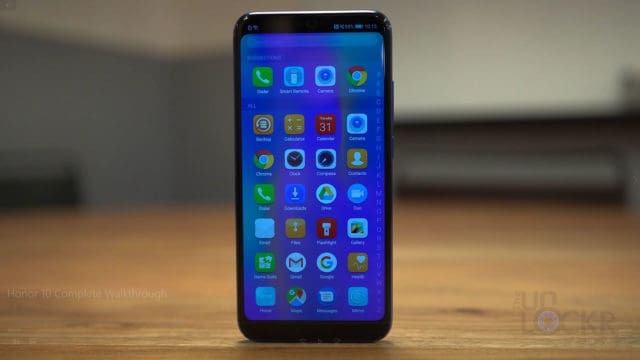 And it’s the same variety of EMUI that we’re used to seeing so I won’t go through it too much, but, quickly, here are some of the apps that Honor has pre-installed. Backup: A phone backup and restore program. 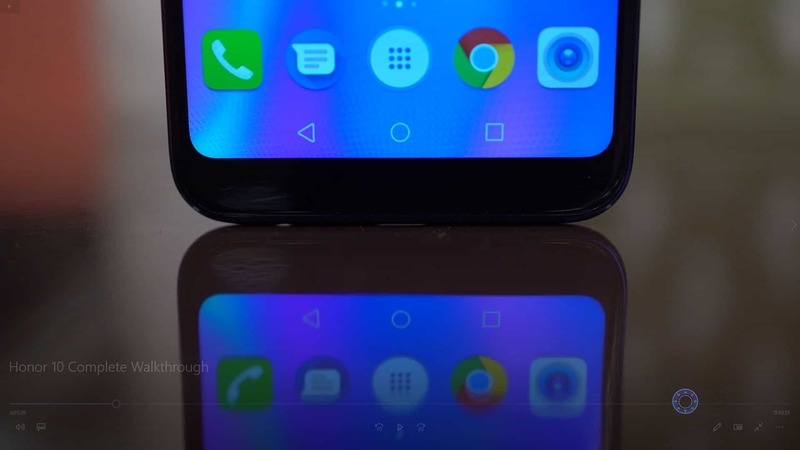 Duo: Google’s video calling software is pre-installed on the phone. Files: Their own file explorer that can sort by type of file or location. Gallery: Their own photo album that sorts photos and videos by Albums and locations. Honor: Which is literally a shortcut to Honor’s website. Music: Honor’s own music player. Notepad: A simple note-taking application. 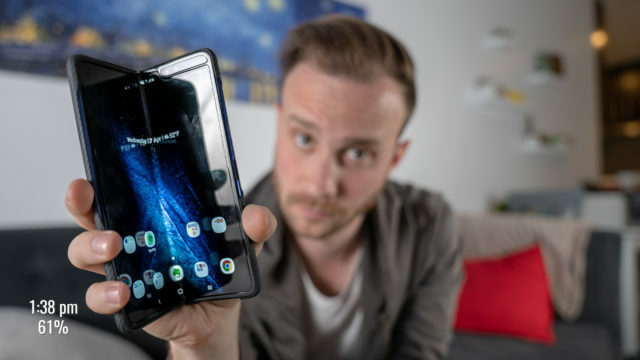 Phone Clone: Which allows you to download the app on another phone and quickly transfer all of your photos, videos, apps, etc. from one device to the other. Phone Management: Their own app for cleaning up cache/storage, monitoring or limiting mobile data, battery monitoring and scanning for viruses. Quik: Bloatware for GoPro’s video editing app. Recorder: A simple voice recording app. SIM Toolkit: Apps that allow you to adjust how the SIM is used in the device. Themes: Where you can download or buy new themes from Huawei’s repository. Tips: Huawei’s app for showing you how to get more out of the device. Video: A video player gallery. Weather: A basic weather app with weather data provided by Accuweather. Swype Keyboard: This is a popular third-party keyboard from the Play Store that Honor just set as their default. 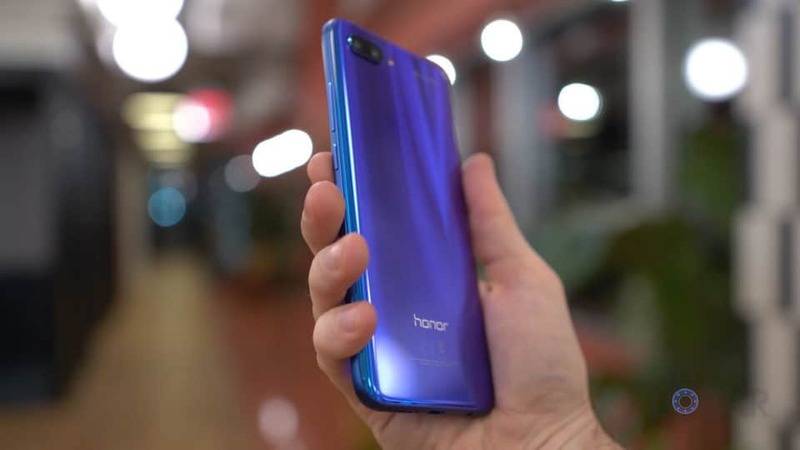 Another software thing Honor has in the Honor 10 is Huawei Share that allows you to share devices with any other Huawei or Honor device a lot faster than pairing via Bluetooth manually–think AirDrop for Honor. On the back, we have our dual camera setup featuring a 16MP f1.8 RGB camera and a 24MP monochrome sensor. 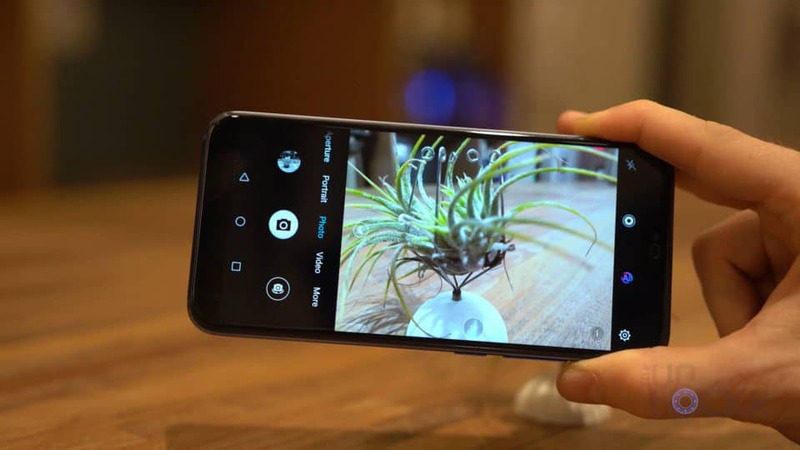 The idea is that whenever you take a photo it combines the two to produce an image with higher contrast ratios of the monochrome sensor with the color detail of the RGB. You can enable or disable the AI camera functions by tapping the AI button in the viewfinder. With it enabled, it’ll pop up an icon whenever it recognizes a scene and shows you live what it’ll look like when captured. I’ve noticed though, that even if it doesn’t pop an icon, it’ll still try and alter the photo. One of the nice things though is that whenever it does take one of these AI photos it actually saves the original and the AI image together. You can go into the gallery and tap the AI icon on the photo to swap between them, so there’s no harm in having it on, at least. 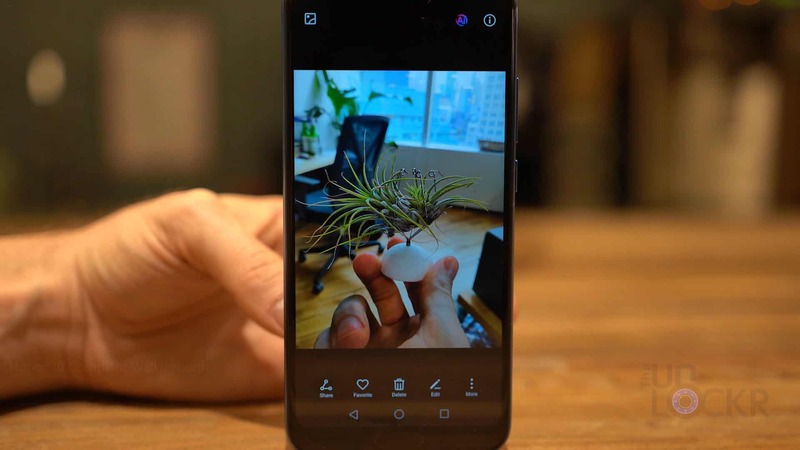 Moving Picture: This is the same as Live Photos from the iPhone basically and take a short video before and after the shutter is pressed that can be viewed back when looking at the photo in the gallery. Aperture: Allows you to add software enabled bokeh by adjusting a virtual aperture from 0.95 to 16. Think of it like portrait mode in a way. Portrait Mode: Similar to aperture mode above, but only seems to work with human beings. Also, this does automatically turn on as part of the AI scene detection if you’re taking a photo of a person. But you can also turn it on manually. In addition to blurring out the background, it also has a beauty mode that the intensity can be adjusted up or down (something I’ve noticed though, is that even if you turn it all the way off, it still adds a tiny bit of softening and makes your skin a little lighter). There is also a 3D lighting effect for portrait mode that can change the way lighting looks on or behind the portrait mode subject. AR Lens: Think Snapchat lenses built into the camera. Masks, custom backgrounds, and even a few AR anime characters are available and you can download more from their app. Pro: Allows you to adjust all of the camera’s functions like ISO, shutter speed, exposure, autofocus, white balance, etc. Slow-Mo: Regular slow-motion that is recorded at 120 fps in up to 1080P. Night Shot: This setting allows you to take a long exposure shot that holds the shutter open. It’s not quite on par with the Huawei P20 and P20 Pro’s version as they have better stabilization though. Panorama: Which we’re used to that lets you take a wider photo by stitching photos together. Monochrome: Which of course allows you to use only the monochrome sensor to take black and white photos. Light Painting: Which allows you to create long exposure photos that you’ve undoubtedly seen on social media somewhere. 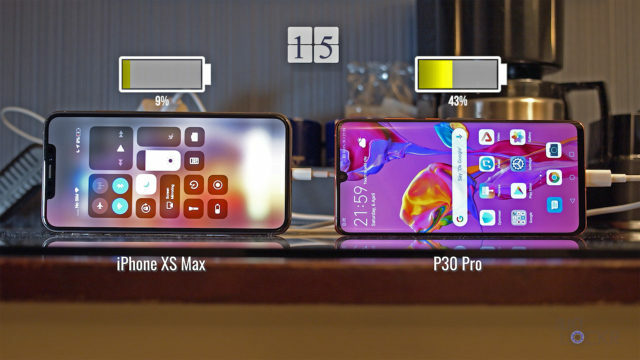 HDR: Which is a mode on Huawei devices instead of just being an automatically detected thing in the Auto mode like most manufacturers which I don’t understand. Time-Lapse: Which allows you to shoot at lower frame rates to have a sped up video. 3D Panorama: Which lets you circle an object to make a 3D like a moveable image (that honestly, I couldn’t get to work well enough to show you the result). Watermark: Think Snapchat stickers based on time, location, etc. Document Scanner: Allows you to take photos of documents (or anything that resembles one really) and it’ll automatically crop it and brighten it. 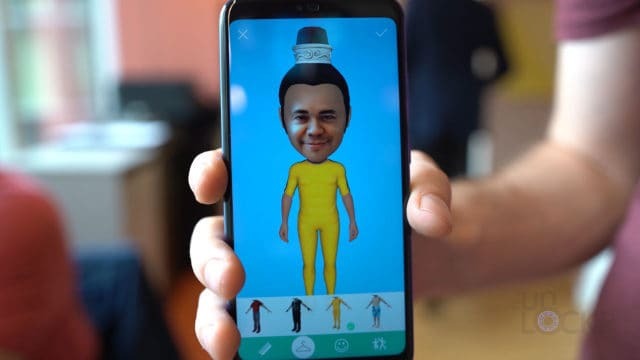 3D Creator: Let’s you 3D scan a face. Artist Mode: Basically filters but more cartoony/drawn. Good Food: Which is available in Downloads, and allows you to choose manually to do what I imagine the AI scene detection does automatically when it recognizes food (which is to turn up the saturation basically). And now, let’s dive quickly into the Settings of the Honor 10’s camera. Resolution: You can choose from 24MP 4:3, 16MP 4:3, 12MP 1:1, or 10MP 18:9. Video Resolution: 4K in 30fps, FHD+ in 30fps, FHD in either 60fps or 30fps, and 720P in 30fps. RAW format: If shooting in Pro mode you can capture RAW format photos. If you don’t know what those are, then you don’t need to enable this probably but it allows for more complex photo editing after the fact, let’s say. GPS Tag: Turn on or off whether you want location data stored in the metadata of the image file. Add Watermarks: This automatically adds the Honor logo to the photos you take on the rear camera in case you feel like advertising for them for free every time you take a picture. Assistive Grid: Allows you to add various grids to the viewfinder while taking an image to help you line up shots (I personally always use this myself with any camera). Mirror Reflection: This flips the front-facing camera around to more resemble a mirror. Timer: Set a timer for when the photo is taken after the shutter is pressed of either 2, 5, or 10 seconds. Audio Control: Allows you to take photos with your voice by either saying Cheese or when your voice hits a certain decibel level (aka gets loud). Touch to Capture: Allows you to tap the screen to take a photo. Capture Smiles: Automatically take a photo if it detects anyone smiling in it. Touch & Hold Shutter Icon: Choose whether you want a burst shot or to lock the focal length when you touch and hold the shutter button. Volume Button Function: Choose if you want the volume buttons to take a photo (shutter), zoom in and out, or move the focus in and out. 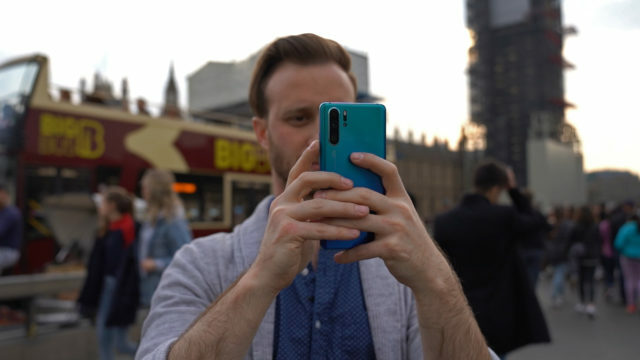 Ultra Snapshot: Whenever the screen is off you can double tap the volume down button to either open the camera immediately, open the camera and take a quick photo automatically, or, of course, not do anything. And there you go a walkthrough of the Honor 10. Let me know what you guys think of it in the comments! The model I had had it for sure, but not sure if all do so make sure to double check. 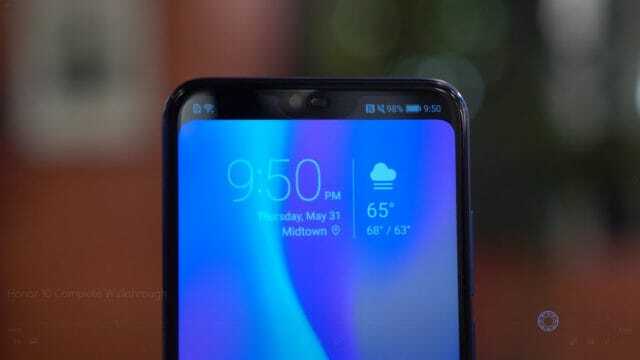 I know that EMUI has a dual app feature like that and my Mate 20 Pro has it, but not positive if the Honor 10 does. I think it might though (again just maybe double check). Thank you for stopping by! Ok thanks for the info! I better check the phone before paying then! Oh interesting! Thanks for the feedback! Enjoy the phone!